The charm of concrete architecture today. Who has not heard of concrete? It is that ugly stuff they make highway bridges and crumbling walls out of, right? Well, yes, and no. Concrete is actually a name applied to a remarkably wide range of substances used in construction, and, when it is properly handled, it is actually one of the noble materials of contemporary architecture. A kind of "liquid stone" at the outset, it is malleable, durable, and, in the right hands, capable of prodigious feats of engineering. 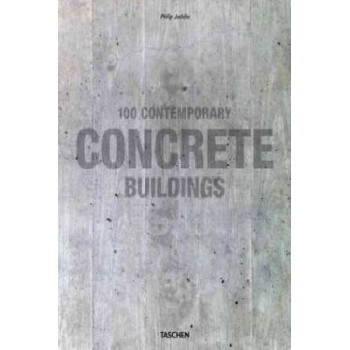 This two-volume book highlights the best work done in recent years with concrete. Included are "stars" like Zaha Hadid. Herzog & de Meuron, and Steven Holl, but also surprising new architects like the Russians SPEECH, rising stars of the international scene like Rudy Ricciotti from France, and even artists such as James Turrell, who turned the famous concrete spiral of Frank Lloyd Wright's Guggenheim in New York into the setting of one of his most remarkable pieces.